Health care providers are facing increasing pressure to achieve better patient outcomes, faster. With that in mind, Candis Morello, PharmD, and her team of Skaggs School of Pharmacy and Pharmaceutical Sciences students set up what they call a Diabetes Intensive Medical Management “tune up” clinic for complex type 2 diabetes patients at the Veterans Affairs San Diego Healthcare System. The clinic is unique because it’s managed by a pharmacist, pharmacy students and an endocrinologist. Together, the team provides personalized clinical care and real-time, patient-specific diabetes education in hour-long visits. But is the diabetes “tune up” clinic any better at patient outcomes than regular visits to a primary care provider? A new paper Morello and team published in the Annals of Pharmacotherapy says yes. In the study, the team compared A1C, a measure of blood sugar levels, between two groups of patients — 99 who attended the clinic two to four times over six months and 56 who saw their primary care physicians at least two times in six months. The clinic group experienced significantly greater improvements at six months: compared to an average A1C reduction of just 0.8 percent in the primary care group, the “tune up” clinic patients reduced their A1C by an average of 2.4 percent. What’s more, the diabetes clinic patients experienced a few other clinically significant improvements — they didn’t gain weight and didn’t experience any low blood sugar incidents. This collaborative “tune up” model was likely so successful in part, Morello says, because many of the patients have several other health issues that also need to be discussed at regular doctor’s visits, leaving little time to talk about diet, exercise and managing blood sugar levels. The diabetes clinic dedicates time specifically to those matters, freeing up doctor time for other health concerns. 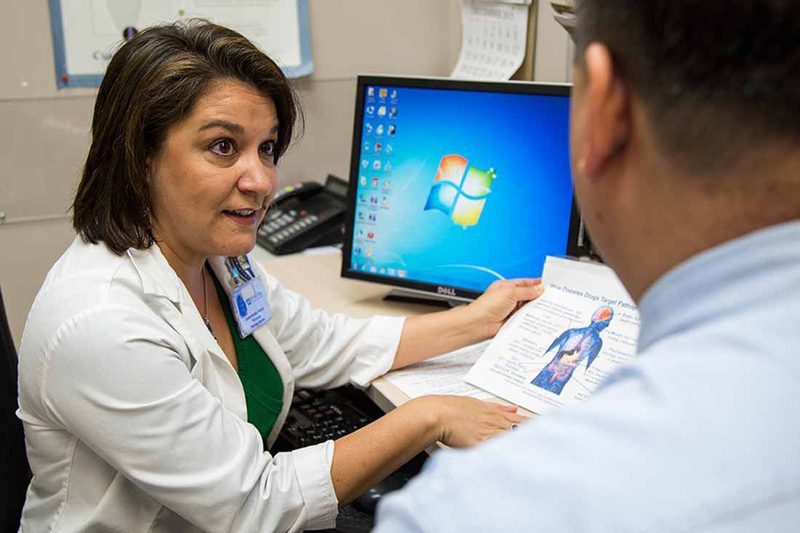 This pharmacist-led clinic exemplifies the changing landscape in pharmacy. Pharmacists are no longer simply pill dispensers — they’re becoming a new type of primary health care provider. In 2014, California became the fourth state to allow pharmacists to initiate and monitor a patient’s drug therapy, rather than simply fulfill a doctor’s prescription.